In order to remain competitive in today’s smartphone and tablet dominated society, your small business should be developing a mobile app. No longer is it an expensive venture that was once out of reach for small business owners. Instead, an app is now more affordable and has faster development times than in the past, which means that small business owners will see their investment quickly pay off. One of the main reasons why businesses develop apps is to increase their sales. A good mobile app offers a more convenient way to browse and shop and can also reach an international market. A well-created app takes into account a quick checkout process, which would help lead to increased sales for the business. In addition, business owners could utilize their app to alert customers of new deals, products or special events. Increasing branding is another important reason why mobile app development is so important for businesses. Social media plays an integral part in interacting with consumers on a regular basis and mobile apps allow that to be done effectively. Entertaining mobile apps, which are becoming quite popular, are fun to use and are either informational or inspirational. In addition, this type of app also normally persuades the consumer to make a purchase or complete an action that benefits the business in some way. Businesses that meet clients at out of office locations have a better chance of closing a sale by showing potential clients data and portfolios offline using an app. Even businesses that you would not think likely to utilize mobile app development – such as plumbers or golf courses – are jumping on board with this new trend. 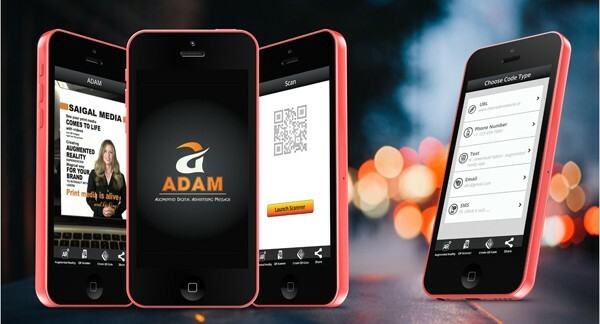 Businesses of all types are realizing that they can save money in the long term by utilizing mobile apps to fulfill orders, complete bookings and process payments. Mobile apps provide businesses with an opportunity to include various desirable features, including providing rewards to dedicated customers. Your business’ social networking can be increased by directing customers to other platforms for your business. In addition, customer interactions can be increased by enabling location alerts and other push notifications. Mobile app development is crucial for your small business to survive in today’s social media dominated marketplace. Improve your customer experience, increase sales and remain competitive in your business specialty by developing a mobile app today. Contact Saigal Media for more details!